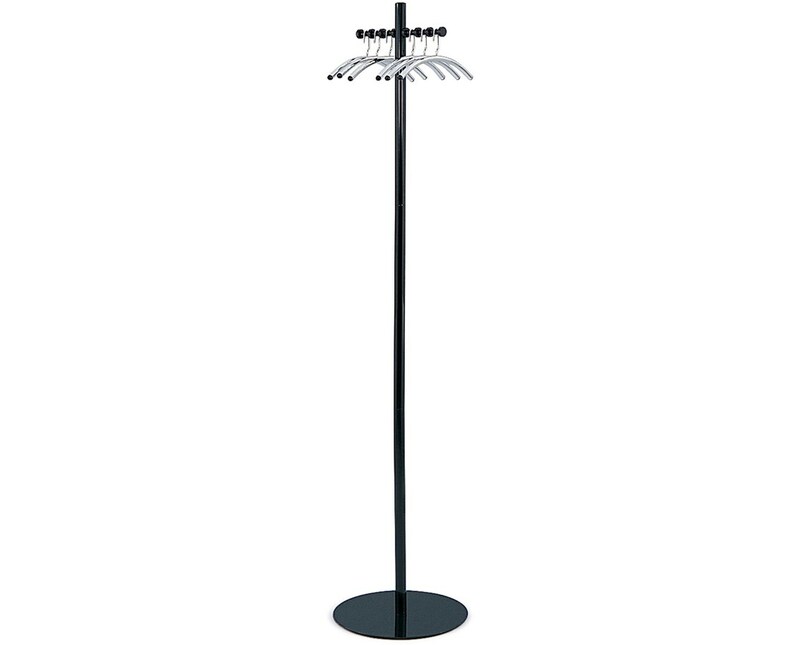 The Safco Nail Head Coat Tree is a simple and discreet rack for holding coats and other garments with an upscale look to add style to an office and a home setup. The nail heads have evenly spaced notches that keeps hangers in place and each has a capacity of 10 pounds. It also includes six specially designed hangers that fit into the notches and discourage theft. The 15-inch diameter base keeps the rack firmly standing. 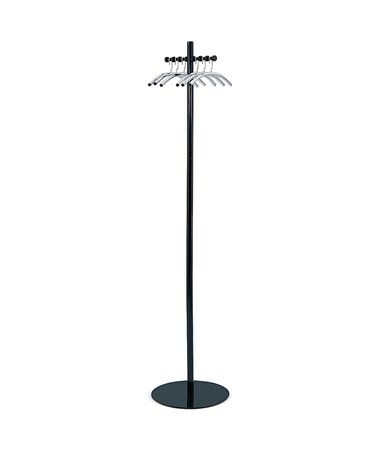 This coat rack is made of steel with a powder coat finish. It is safe for indoor use as certified by GREENGUARD.